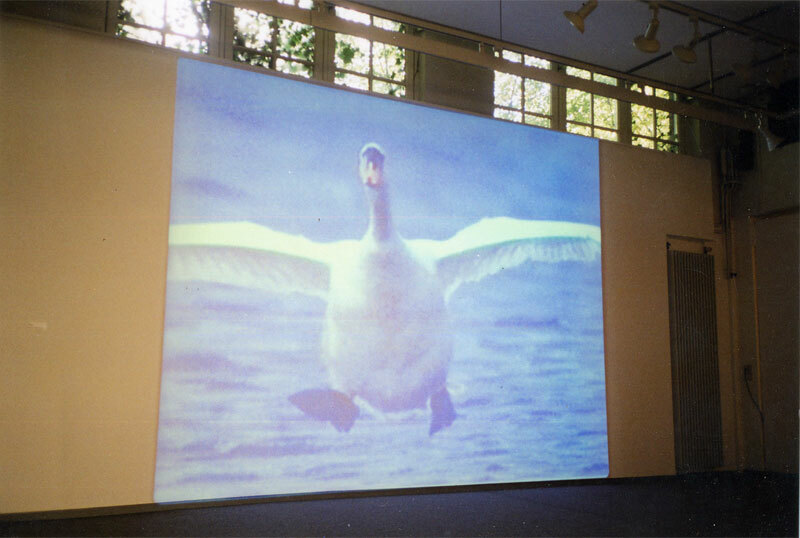 Swan is an installation made for the groupexhibition ‘Genomineerden Kunst Aanmoedigingsprijs Amstelveen 2001’ (which means that PIEK! was nominated in Amstelveen for a price that supports young artists). 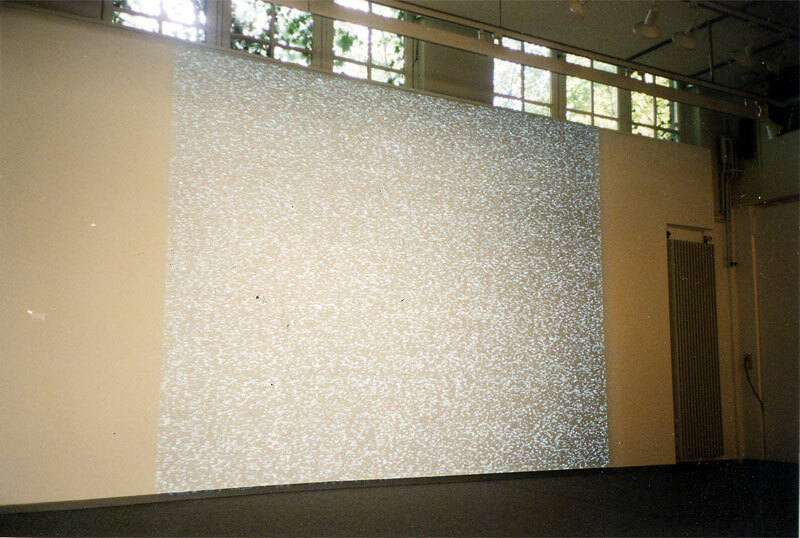 The installation was a projection of ‘snow’ ,4m by 3m, on a wall in ‘De Aemstelle’, the city museum where the exhibition was held. If an airplane passes the exhibition space, wich happens quit often (about every three minutes), cause Amstelveen, and the Aemstelle in particular are underneath the fly zone of the airport Schiphol, appears from the snow projection a landing swan, the KLM swan. The swan is the icon of the KLM, and the one PIEK! used is a sample from a KLM commercial. 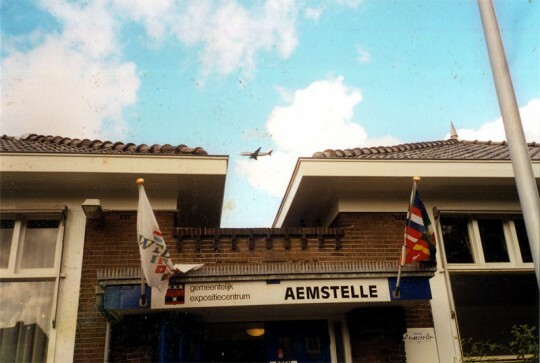 The idea behind the work is that on one side the visitor from Amstelveen has to hope for an airplane instead of detesting them, what they normally do. On the otherside it is a comment about the KLM commercial, that presents itself with a landing, in slow motion shot, beautiful white swan with Randy Crawford’s ‘one day I’ll fly away’ as a soundtrack. Now you have the good looking swan, with a live soundtrack. 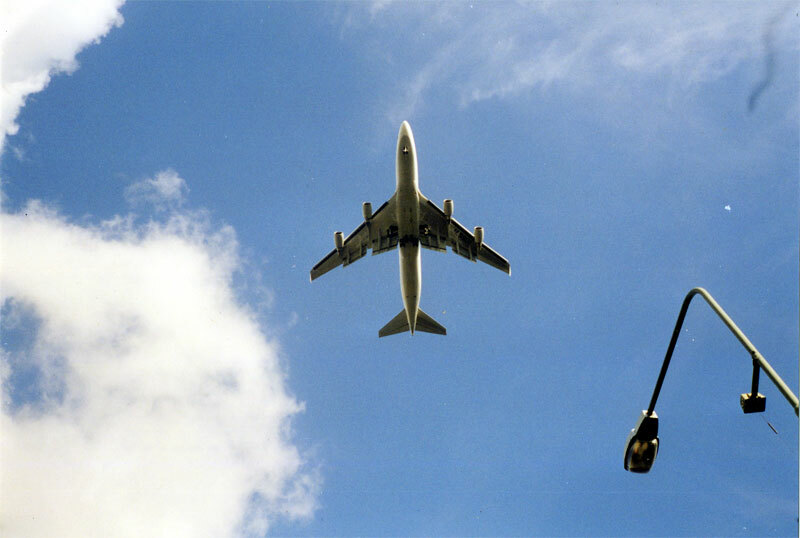 The noise of a landing airplane.